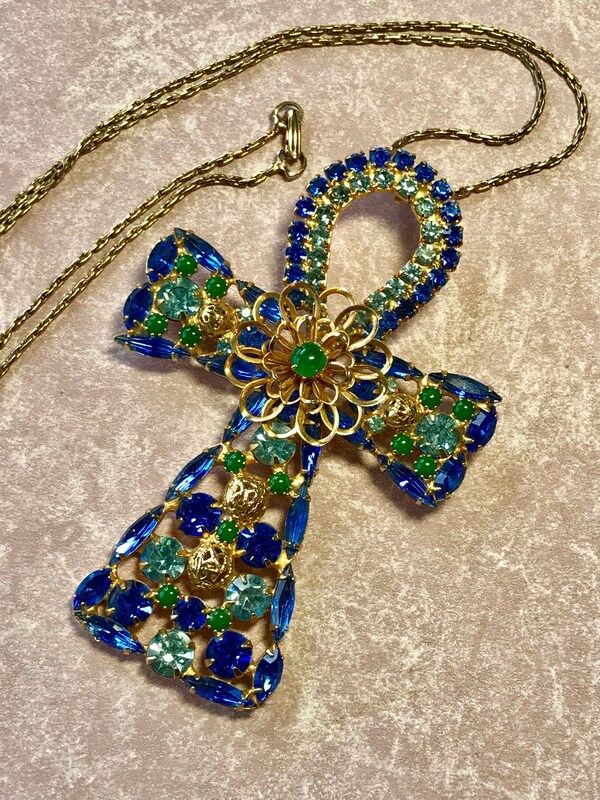 The ankh is beautifully set with different shades of blue rhinestones with jadeite cabochons, and a filigree center. 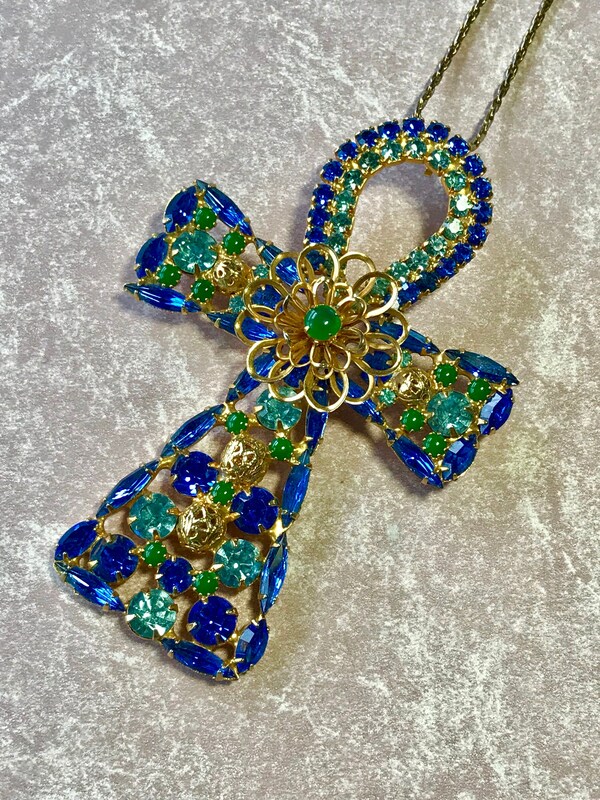 This Brooch can be converted into a perfect length necklace, 28 inches long, original chain included with the brooch as you can see in the photos. 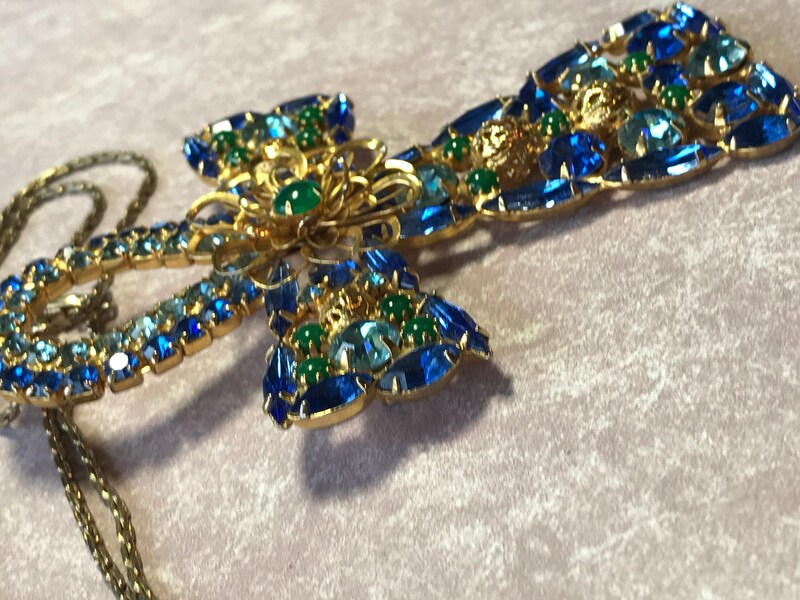 This piece is in excellent condition, stones are bright, the gold finish is beautiful. 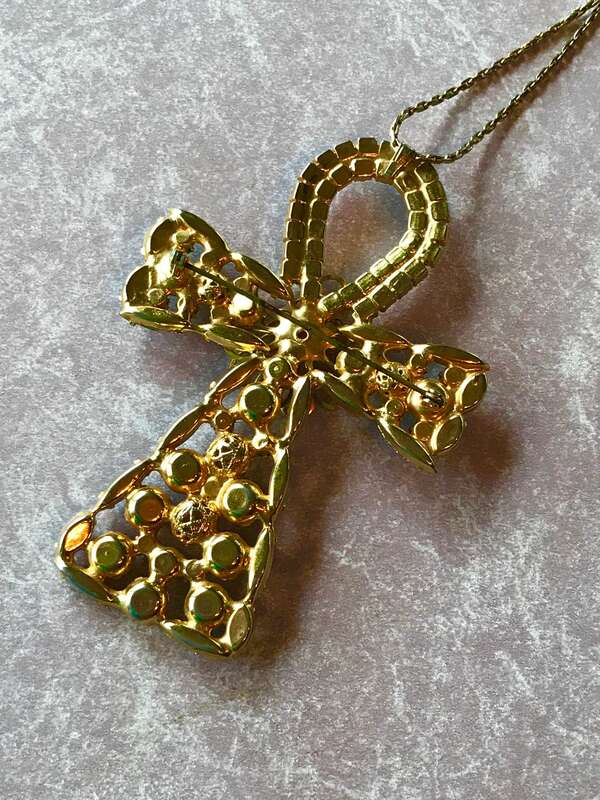 The Ankh or Cross is a whopping 4.25 inches long and 2.75 inches wide. This is a beautiful example of the fine work of Delizza and Elster. Ask any questions, check photos carefully.